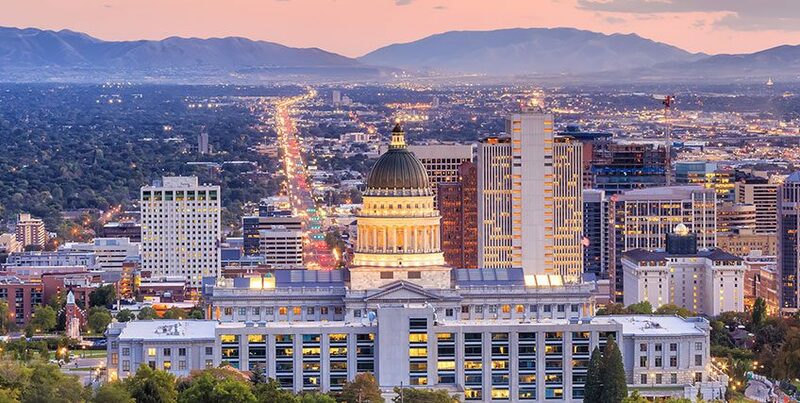 Although radon gas is found everywhere, past radon testing in Salt Lake City shows that Utah homes have an average radon level of 5.3, while a number of Salt Lake City homes through radon testing have tested to have levels between 20.7 and 140.5. The only way to know if your home has radon gas is by using a radon test kit. Utah Radon Services offers free certified testing and can have results for you within just days of starting the test. Fill out the form on the right to request a free test today. Radon gas is measured in pico curies or “pCi/L”, and the EPA’s strong recommendation is to fix your home if your radon level is 4.0 pCi/L or greater. The WHO (World Health Organization) has even more strict guidance and recommend getting your home fixed if the levels are above 2.7. Fixing your home’s high radon levels is something that can be done without much difficulty or expense. We are here to help. Installing a radon mitigation system in a home that has high radon levels, will significantly reduce radon exposure. Also referred to as radon reduction systems or radon removal systems, these are installed using pipes that collect the radon gas from beneath the foundation and vent it out into the atmosphere using a special fan – reducing the amount of radon that ever enters the home in the first place. In fact we guarantee to get your home to 2.7 or below and many cases we get it to under a 1.0. Our radon reduction systems come with a lifetime warranty so you know you are getting a quality solution that will last the life of your home. If your Salt Lake City home has already been tested and has high radon levels, fill out the form on the right or call us at 801-871-0715 to request a free bid on a radon gas mitigation system for your home. What is Radon Gas and Why is it a Concern? Radon is a naturally occurring radioactive gas that comes from the decay of Uranium in the soil. Much of the radon gas produced enters the atmosphere and is harmless, but the accumulation of this odorless, colorless, and tasteless gas in your home is a concern for your family’s health. According to the Surgeon General, more than 21,ooo Americans die each year from lung cancer that is related to radon – in fact it is the second leading cause of lung cancer overall.